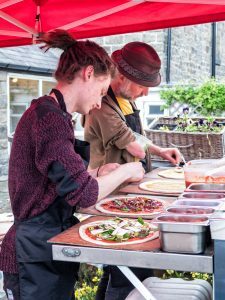 For the third year Sarah and Dan will bring their Sunshine Pizza to Sheffield Food Festival, they tell us how how they got started. From the start we (Sarah and Dan) wanted to set up a business that provided delicious, high quality, nourishing food at an affordable price – something not too meat heavy and nothing too trendy. 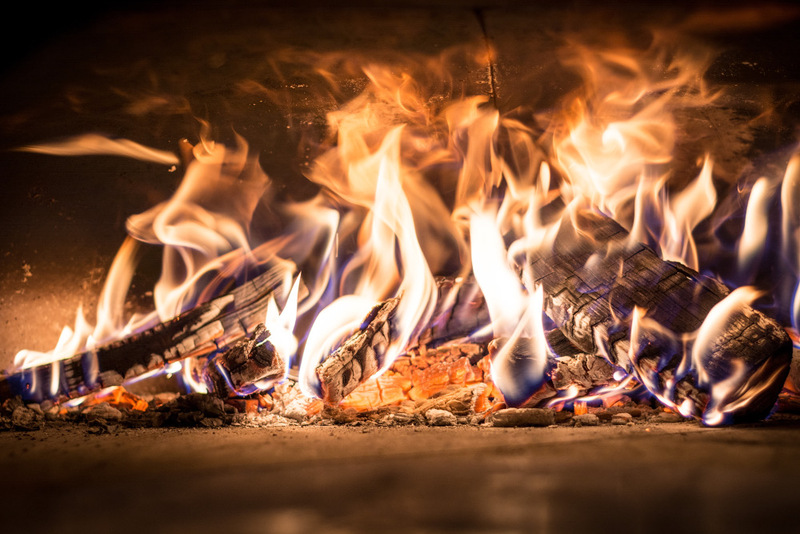 For these and other reasons we decided on pizzas, little realising then that we would be riding the wave of a renewed interest in authentic wood-fired pizza making. 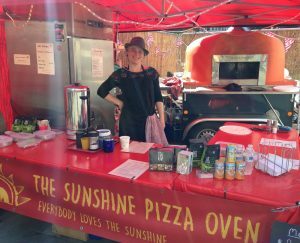 We set up the Sunshine Pizza Oven (or the Serious Pig Office as it is sometimes known for various obscure reasons) in 2014, registering the name with Companies House, attending numerous food and small enterprise events and courses in the region, and researching everything from business loans to dough mixers. By getting creative with credit cards and start up loans we gradually began to assemble everything we thought we needed – we could often be found rummaging about in used catering equipment dealers lock ups, tucked away on obscure trading estates. We won the concession to provide food and drink at Stanage Plantation in the Peak District for 2015-16 and planned to start trading on 1st April, so it was something of a relief when our pizza oven trailer arrived – after various delays and complications – on 23rd March, which gave us a week to practise before going live. This close to the wire experience, common to all street food traders it seems, is still a regular feature of our day to day business – sometimes exhilarating, sometimes nerve-wracking. Back then making dough was quite an undertaking, mixing 5kg batches in our old Hobart in the kitchen we rented, before weighing it out, shaping it into balls and leaving it to prove overnight. Then, as now, the flour we used was 100% organic and stoneground from small independent millers who use mostly heritage and heirloom varieties, and as a consequence each batch would be slightly different with subtly different properties. We had a few dramas along the way, dough that would tear at the slightest provocation or dough balls like latex that refused to stretch, but gradually we began to master the art and science of dough making and now, approximately 25 tonnes later, we are pretty adept at turning out 500 perfect dough balls in a session. It’s -10 degrees outside and blowing a blizzard as I write this in late February – all the fridges and freezers are empty and cleaned – but we are still busy, taking bookings, ordering new equipment and finding more staff for the coming season. We now have three lovely ovens, with a new pizza van on the way! 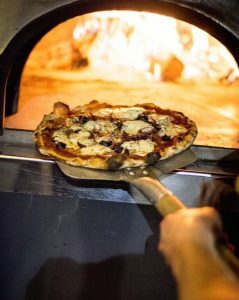 Each year we get busier and more adventurous, taking on ever larger events as we gain the experience and expertise of how to deliver high numbers of pizzas efficiently without compromising on quality. Despite a few hiccups along the way (rolled pizza trailer anyone? ), we still love doing what we do, travelling to festivals and parties with our cheerful crew, and our core values are still the same. 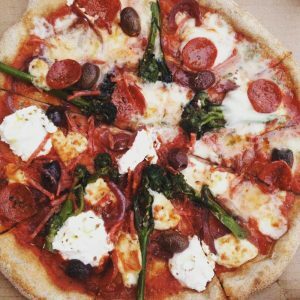 Our dough is still 100% organic and homemade, as is our sauce, we still use the highest quality ingredients sourced from local suppliers wherever possible and all our packaging is biodegradable. Hopefully as you read this the sun will be shining on another gloriously warm and sunny Sheffield Food Festival, our third, and a real highlight of our increasingly packed calendar.